Since 1984, young women and men, ages 13 to 17, have partnered with the USC Department of Public Safety (DPS) to learn first-hand about law enforcement and emergency services. Cadets first attend an in-depth training academy where they’re immersed in classes on criminal law, community relations, self-defense, and firearms safety among other topics. Once they’ve successfully completed their studies, recruits apply what they’ve learned to real tasks, performing a variety of community-based, non-hazardous assignments on USC’s campus and throughout Southern California in association with the Los Angeles Police Department. If you meet the criteria outlined above, please send an email including your first and last name to dpscadets@dps.usc.edu letting us know you are interested in the program. 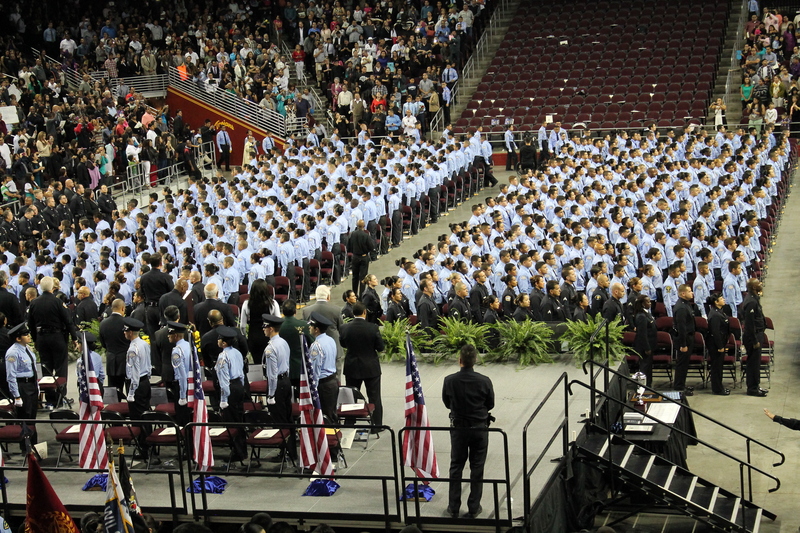 The DPS Cadet Program is sponsored in part by the USC Good Neighbor Campaign.